These stunning, Horse Head Bookends add a touch of vintage style to even the drabbest bookshelves, whilst also being extremely practical. Carved with amazing attention to detail in durable resin, these Bookends will not only look great but also stand the test of time. 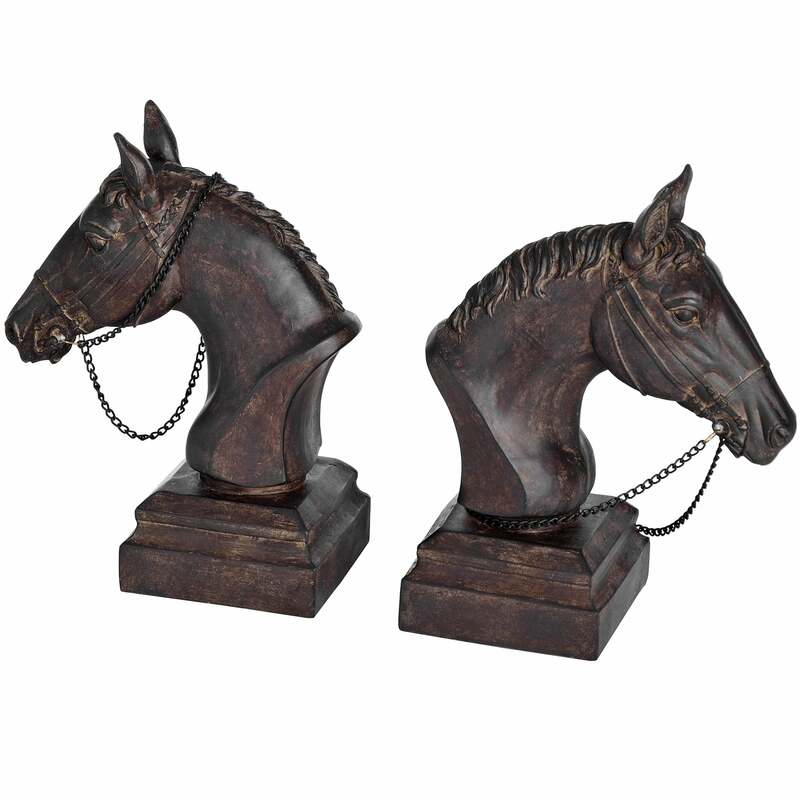 Keep your books in good order with these Horse Head Bookends. An ideal gift for the equestrian or animal lover.